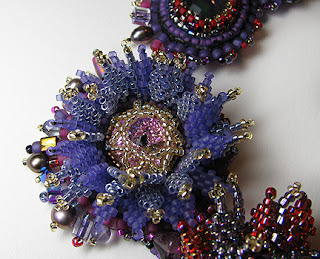 Beading Arts: "Three Bezels Plus a Bonus" is ready to go! 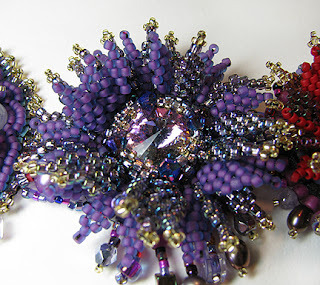 I've just launched my newest bead embroidery e-booklet! 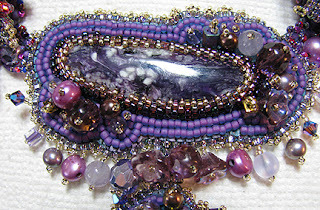 Three Bezels Plus a Bonus looks at how to add Swarovski rivolis to your bead embroidery and dress them up with three creative bezeling techniques. 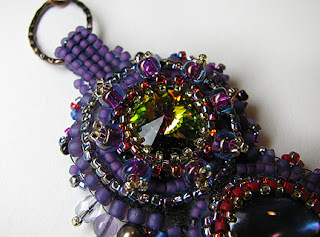 Additionally, you'll receive step-by-step advice on how to bezel around an irregularly shaped cabochon. For only $3, you can download your own copy of this 30 page e-booklet if you're interested in this topic. Geezzz I need a new technique like another hole in the head...but guess I just like holes!! So I just hit enter on PayPal!! Thanks, Cyndi! Cyndi... you are AMAZING! That is just stunning! The examples are gorgeous, Cyndi. Congratulations on your new book!